The products we offer are reliable, high quality and competitively priced. Trustico® includes a thirty day refund guarantee on newly purchased SSL Certificate products. 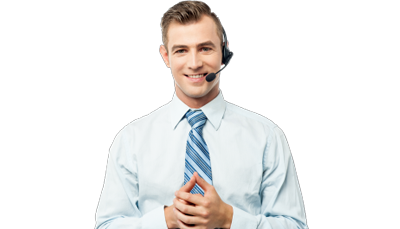 Within thirty days of order customer may request a cancellation and full refund of a customer qualifying SSL Certificate product for any reason. We value our customers and believe the option of a refund provides peace of mind to our customers. Refunds are intended for new customers as our refund guarantee allows the opportunity to test and install an SSL Certificate risk free. We want every customer to enjoy our quality service, even if you find a cheaper price elsewhere. We believe there is no reason to buy your SSL Certificate anywhere else and hope you will give us a chance to beat the advertised price of our competitors. Click Here to find out more information about receiving a refund for the difference that you have already paid if you found a cheaper price elsewhere. If you are experiencing problems installing your SSL Certificate, or getting it to work, please Contact Us for assistance. Our SSL Certificates work with all servers and devices. Choosing an SSL Certificate from another provider is time consuming and not necessary. Trustico® will cancel and refund a qualifying order upon request. The refund request must be made in writing by downloading and completing the refund request form and sent via fax or e-mail. All refund requests must be received within thirty days of order and must be easily identifiable by containing relevant order particulars, such as the order number and domain name. If you submit your form through fax, please ensure that your fax is sent correctly and you keep a copy of your fax transmission slip as evidence. Refund requests that are received after thirty days of order will not be eligible for refund.